Sparticles Wood, Nr Chaldon, Surrey. Reported 3rd August. 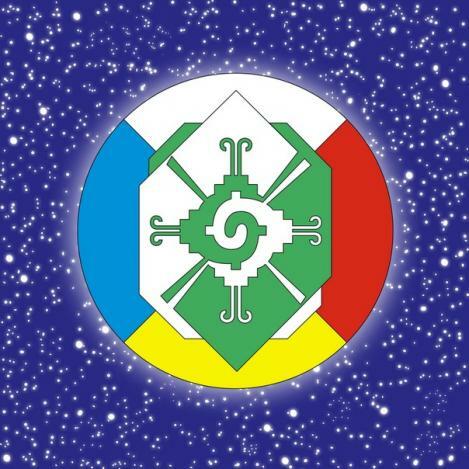 According to the Mayan calendar Tzolkin, 3rd August 2016 is a day with the Solar Seal “Blue Hand” and with Tone 6 – the Rhythmic Tone of Balance. In my opinion, on the formation is depicted Tone 6. On the formation we see an outer circle and 6 squares with decreasing size. Here the number 6 symbolizes Tone 6. Each square consists of 4 elements. On the outermost square these elements are marked through the numbers from 1 to 4. 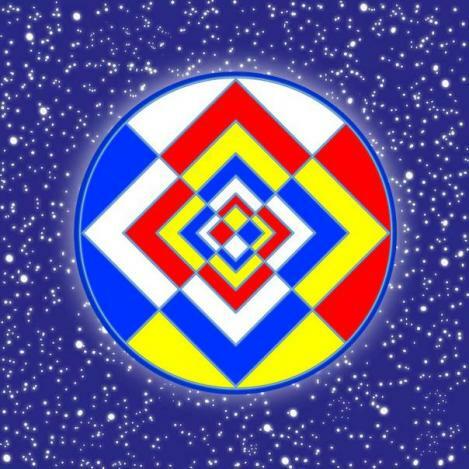 From the Central Source, called Hunab Ku, emanate cosmic energies, which come to us through pulsations. These pulsations have specific qualities and are called the 13 Tones of Creation. Once in 13 days we receive Tone 6 and can use this energy to balance ourselves. 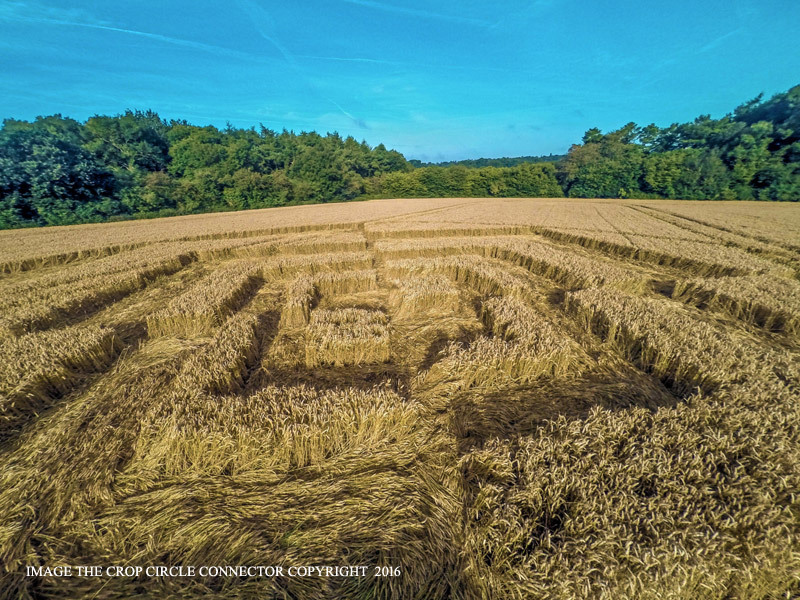 Sparticles Wood - the location of the crop circle, is chosen not by chance. Tone 6 helps us to balance our energy bodies, to balance all our parts and “particles" ;-). Through Tone 6 we can balance our 4 main energy “parts”: Physical body, Spirit, Soul and Awareness. Each square consists of 4 equal elements, with equal form and size. Besides, all elements on the formation are balanced towards the horizontal axis AC and towards the vertical axis BD. 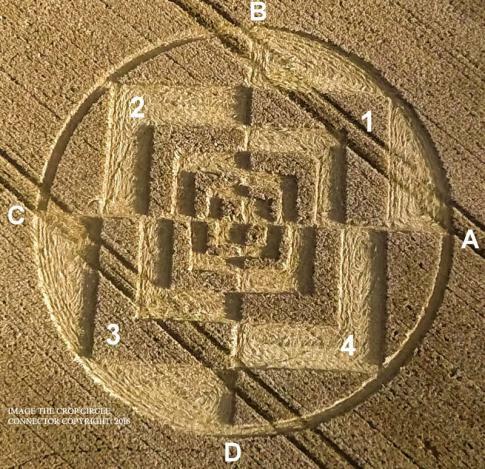 On the crop circle is chosen the square as figure, which depicts stability, a strong foundation. When we are balanced, when we have balanced our 4 energy bodies, we feel ourselves stable. The artist Graham Sanson has created a color image of the crop circle, where the 4 main categories are depicted with their corresponding colors. Heartfelt THANKS to Graham Sanson for the wonderful illustration!! Cordial thanks also to the authors of this astonishing crop circle and to the photographers: www.cropcircleconnector.com! The relationship, the formation exhibits, is found over a time span of a multiple of 21 Tuns (21 × 360 days), because 21 tuns correspond with precisely 8 × 32 = 256 lunar months. The time span of 21 × 21 (= 441) tuns corresponds with 7 × 24 × 32 lunar months and this is the time span from the introduction of the Gregorian calendar on October 15, 1582 until June 14 to 16, 2017. Note it was new moon on August 3 and 7 lunar months ahead in future refers to the annular eclipse on February 26, 2017. Hence, 7 lunar months seem to be a hidden factor in the formation. 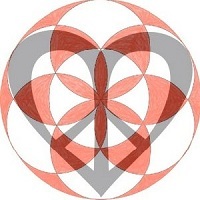 The squares (numbers 4) also relate to 440 tuns (= 22 katuns = 22 × 20 × 360 days) and exactly connects the first eclipse after the introduction of the Gregorian calendar on Christmas day 1582 (an annular eclipse) with the other upcoming annular eclipse, namely on September 1, 2016. The date on which the formation was created also relates to the near future. The time span of 4 × 4 × 4 × 5 days or 16 Vinals ahead in future refers to June 19, 2017, while on June 20, the moon is conjunct Venus, which is also the case on the day the formation was created (at the end of the day). This differs only a very few days from the abovementioned reference to June 14 to 16, 2017. Many formations refer to the time span of about June 14 to 23, 2017, although there seems to be no reference to a single date. One of the four corners points towards sunrise and moonrise on December 25, 1582 (amongst others). The opposite corner points towards sunset in June. The formation is very close to railways, running underground at the formations’ location. It symbolizes the invisible, consciously unnoticeable connection between the past and the future. We are on the train, heading to a destination, but we do not realize it. So just a quick comment that I think this formation represents the two halves of our brain and therefore our 'conflicted self'. Here is a short talk by Jill Bolte Taylor on the subject. I also recommend the book 'Supercoherence Return to Love' by Thrity Engineer. The division into two light and two dark sectors is explained in Section 9, pg. 101. See T867, T890 and T1134, pg. 103, for example. The squares indicate circles of damage/destruction for the four chastising comets, B through E. See GBR (08/07/27), pg. 96, and GBR (03/08/01) and GBR (03/08/08), pg. 175. The refracted light ray effect means that all four comets will impact in water. See GBR (10/06/02), pg. 97, and GBR (10/07/27), pg. 98, for example. Download the ebook at http://theheckhypothesis.com/aboutthebook.html for the referenced pages. here I send my short report. When the 2016 crop circle began with the first crop circles, I soon realised the 'motto' of the 2016 season. It is a row of drastic depictions which illustrate the so important topic and it is the "principle of causality", as I already reported recently. So we have to deal with this causality - the principle of cause and effect. And instead to your written 'views' and / or 'assumptions' it is the clear depiction of a special cause and its effect(s). "If you walk on the wrong way, then you are 'off' the track' - and you find yourself stuck." 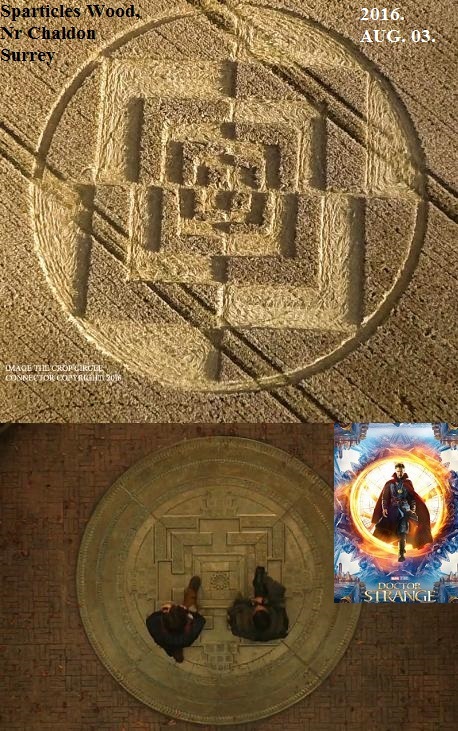 And exactly this going the wrong way is shown in the crop circle. There are other crop circles in 2016 following the same topic of cause and effect. And if you look around in this world, then you see war, poverty, violence, terror and rampage. Because this so sad situation here on Earth the CC-makers decided to send another dramatic picture to show 'the walking on wrong ways and its consequences - shown in the real effects'. Nevertheless I wish you all the best - be and stay attentive………..